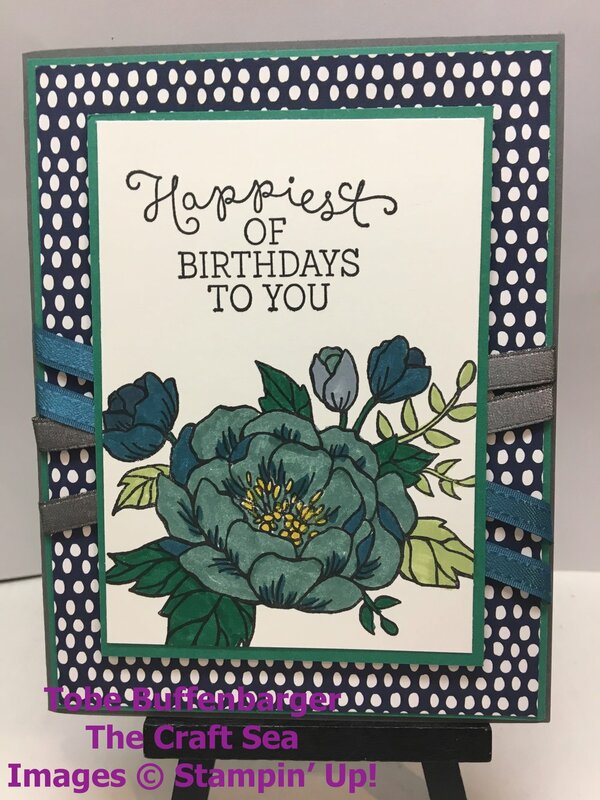 The first stamp set I'm featuring in my retiring series is Birthday Blooms. All of my stamp club ladies can attest that this set has become one of my go-to sets for cards. I love how versatile the stamps are. We've stamped the outline, colored them in, created stained glass effect, heat embossed the image, and many more techniques. 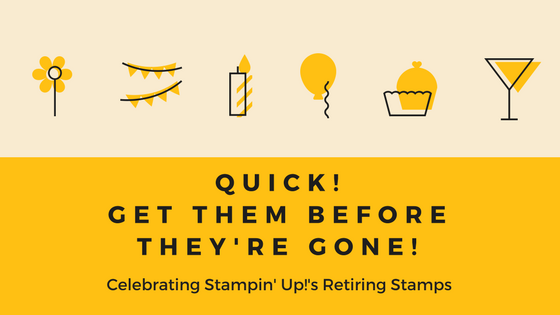 For this card, I created one to feature at April's stamp club and then found myself making an entire set. I love how different these cards look. Change out some colors and paper, and voila!, you have a completely different card!